Back in the day when I was a kid and sweets were pretty much the only things on my mind, Nutella had its very special place. Granted that are so many alternatives and plenty of brands that allegedly offer the same or even superior products, I never settled for anything but Nutella. The years have passed and my enthusiasm for this sweet treat has dwindled, but it still remains one of my favorite desserts. 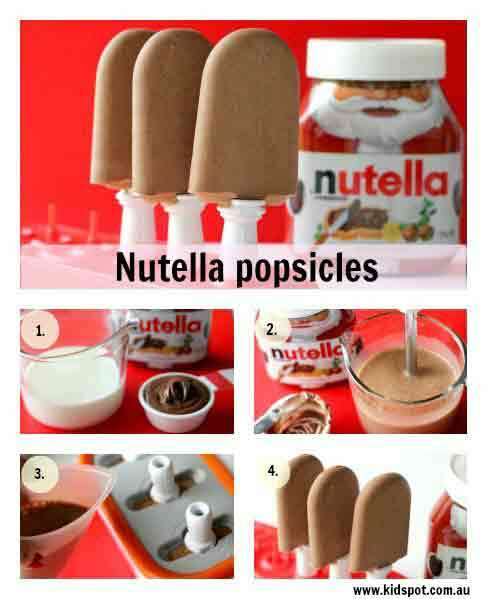 That’s how I stumbled upon a simple, yet brilliant idea of creating Nutella popsicles and I have to confess that it brought back so many childhood memories. There is no need to go shopping if you plan on treating yourself to Nutella popsicles because all you need in addition to the main ingredient is a cup of cream milk. Popsicle molds are also necessary to give the final product the desired form, and in a matter of minutes you can mix the ingredients together. Once the popsicles are in place, you need to arm yourself with patients and keep them in the freezer before enjoying this sweet treat. I don’t know about you, but it felt like an eternity to wait for the fridge to do its thing, although the wait was definitely worthwhile.